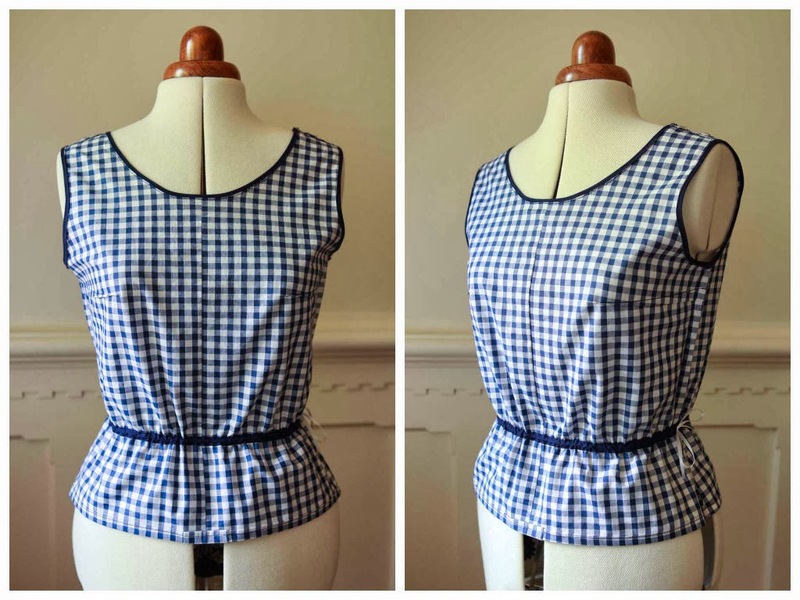 This little peplum top is so easy to make. I made mine with the free Colette Patterns Sorbetto top, but I think this would look equally cute with any top that is relatively blouse-y and non-fitted. 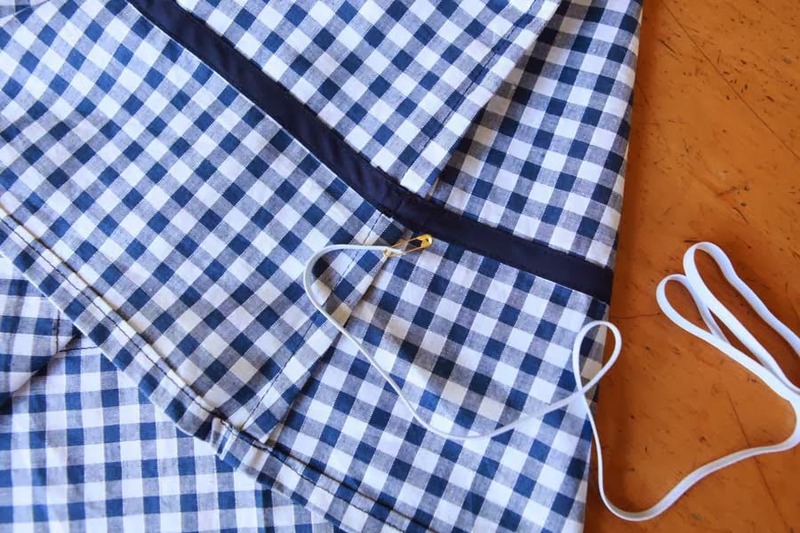 You could also easily update a mens shirt using this method as well! 1. 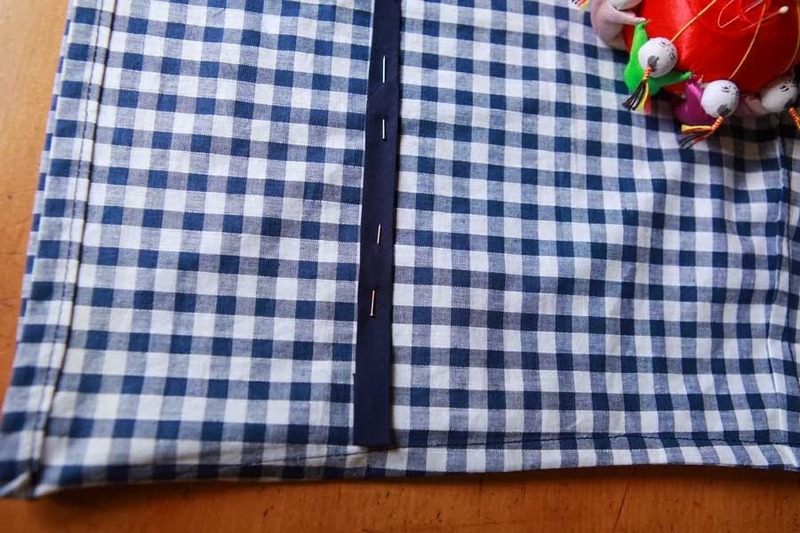 Trace out your blouse from the pattern and make any necessary changes. 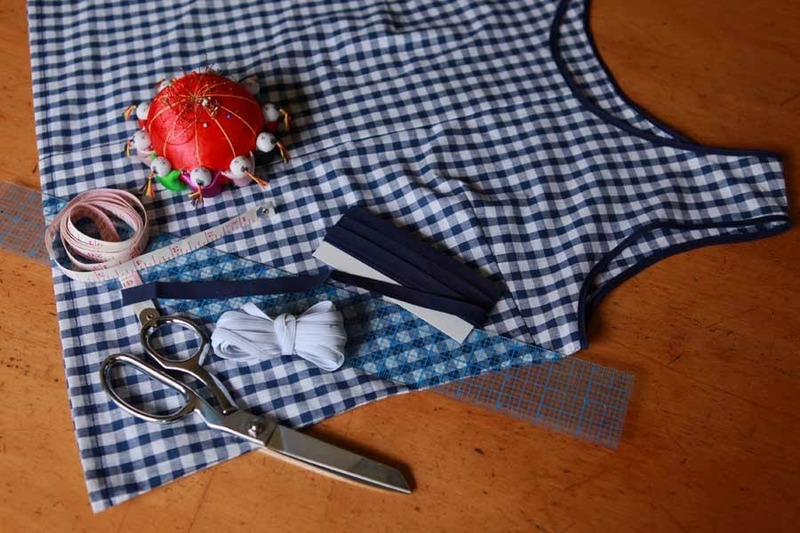 At this stage, you should add length if you want it, and if you are wanting a bigger peplum, grade your pattern out a size or two at the waist and hips. 2. Make up your pattern according to the instructions. 3. Find and mark where your waist is on the blouse. Turn it inside out and with your blouse flat, measure along the marked waist line all the way around. 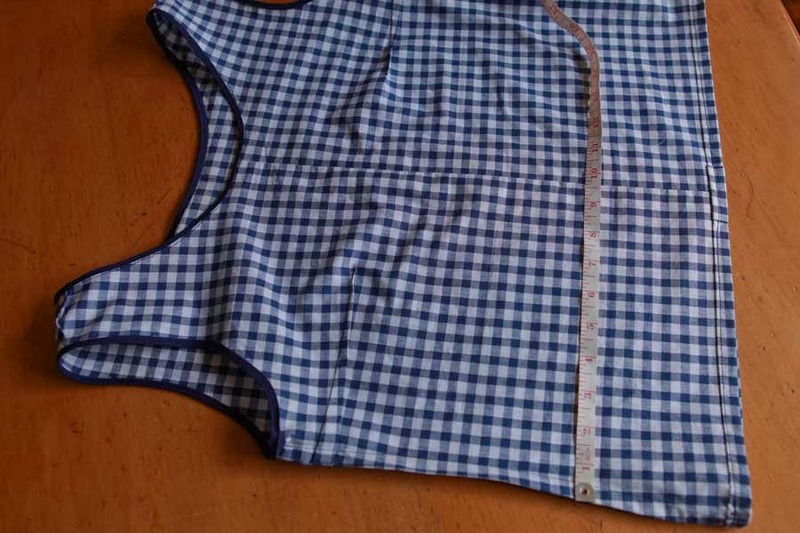 This is the waist circumference measurement of the blouse. Tip: To get your accurate waist placement, put your blouse on and then put a skinny belt or loop of elastic on over the top. 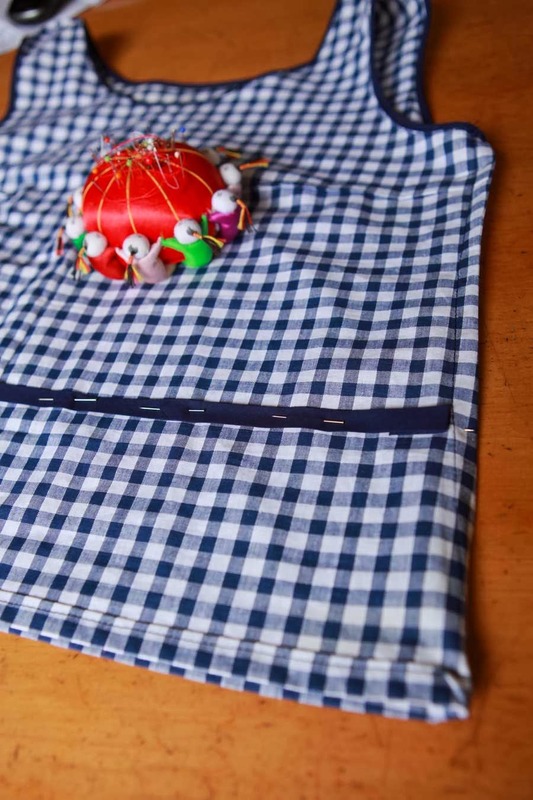 The belt/elastic will sit naturally where your waist is smallest, mark this placement using a pin or fabric marker. 4. 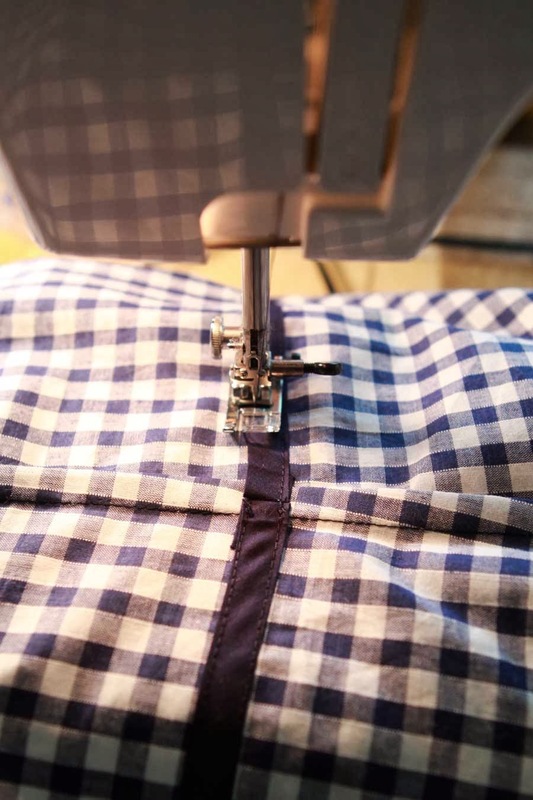 Measure out a length of bias binding using the blouse's waist circumference measurement and add on two inches for the bias binding seam allowance. 5. Fold under the bias binding seam allowance, 1 inch each end, wrong sides together and iron. 6. 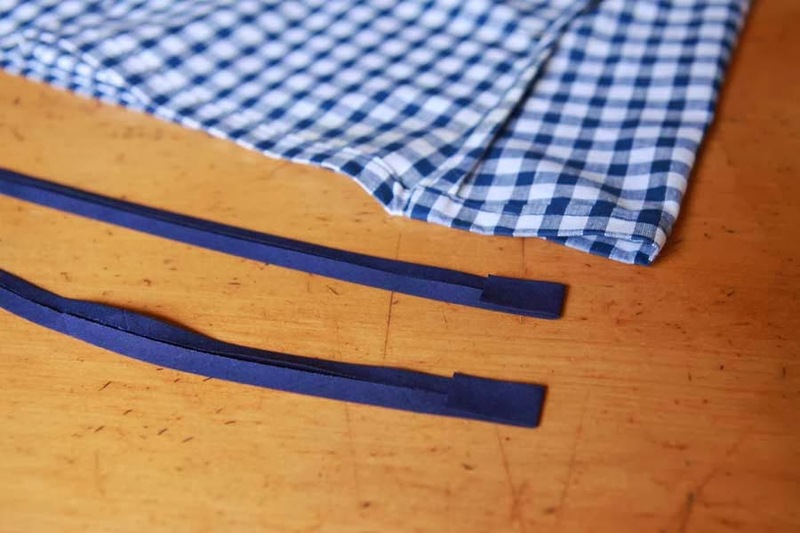 With your blouse still inside out, line up one edge of your bias binding with a side seam of your blouse. Pin your bias binding, wrong-side down, along your marked blouse waist circumference. 7. Sew your bias binding down on each side as close to the edge as you can get starting at one end of the bias binding. Do this on both edges. 8. Cut out a length of elastic that is comfortable for you. A general rule is to take your waist measurement and minus 3 inches to get a comfortable amount of elastic for your blouse. However, this is dependent on how stretchy your elastic is. Another way you could measure your elastic is to put it around your waist and stretch it until you are happy with the fit. Add an extra 2 inches to this measurement for seam allowance. 9. Attach a small safety pin to one end of your elastic and pull through the bias binding casing from the side opening. It should fit nice and snuggly into the bias casing, but make sure there are no twists in your elastic as you go. 10. Before you secure your elastic ends permanently, safety pin the elastic together and try the blouse on to make sure you are happy with the amount of elastic you are using. Make any adjustments to the elastic length at this stage and then secure the elastic ends either using a hand or machine stitch. Et voila! 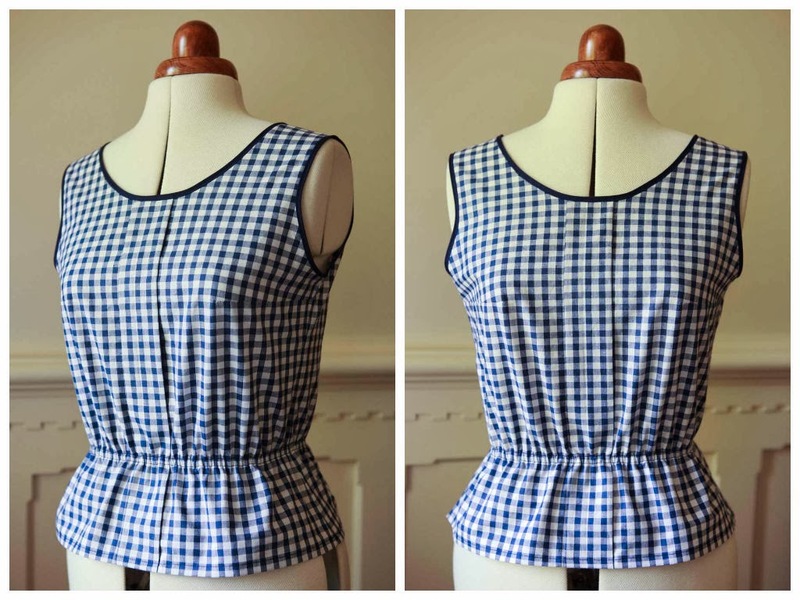 You have now made a super cute (and easy) little peplum blouse! As I was making this, I realised how cute the contrast bias binding would look if placed on the right side of the blouse as well, so I took some photos to show you. I've used a piece of white ribbon here to demonstrate how you could use a cord or ribbon and tie them at the side of your blouse if you chose to put your binding on the outside of your blouse. (And, yes, this is the blouse inside out! Love french seams for making it look otherwise!). Do let me know if you make your own Easy Peplum Blouse. I'd love to see them and hear how they worked out! 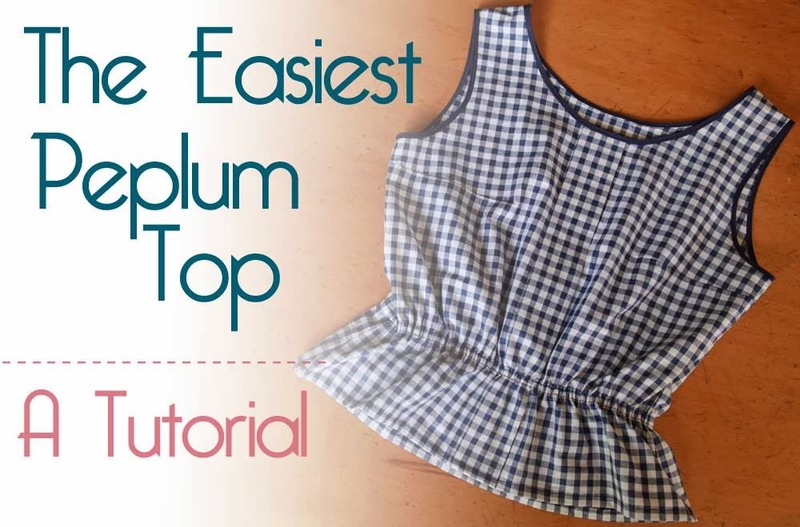 17 comments on "The Easiest Peplum Top - A Tutorial"
This is so cute Jen! And super easy to boot. I think I'm going to have to try this one soon! This is such a great idea! It's the perfect way to give loose top some waist definition. I've never tried the Sorbetto because it's a little too loose for my liking, but I might now, especially since it's free! Oooh, yes! A Shift Dress! I hadn't even thought of that! If you do give it a go, let me know how it goes. Ah this is so cute, and I was wondering how you made it into a peplum top from your last post so thank you for the tutorial! Super cute! Thanks for sharing. I need to pull out this pattern again and give it a try! This is so cute! And, easy, thanks for the tute! Honey, We Bought A Home!